When it comes to insurance for your home, the addition of a backyard pool changes your liability and the cost that you pay. A swimming pool right outside your door is certainly an unbeatable treat for friends and family on a warm day, but insurers have other ideas. 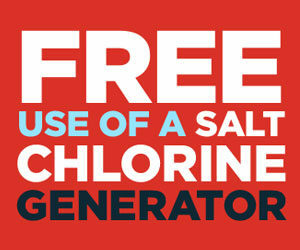 Swimming pools are considered an “attractive nuisance” by the industry that insures homeowners. 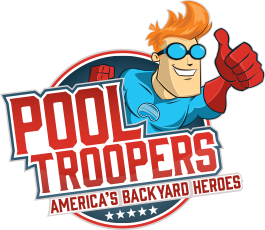 Pool Troopers would like to help you learn more about how swimming pools and homeowners insurance can have an effect on one another. What is an “Attractive Nuisance”? Liability is not just limited to young children, as teens can go on to a property and get hurt. However, there are several steps that you can take to lessen your liability, especially when it comes to a swimming pool. The effect on your homeowner’s policy premiums might vary according to the policy. Your present policy might include a swimming pool, so installing one might not change the rates that much. You might want to increase your coverage as well as take steps to protect a naive child from entering your property because of the attraction of your swimming pool. 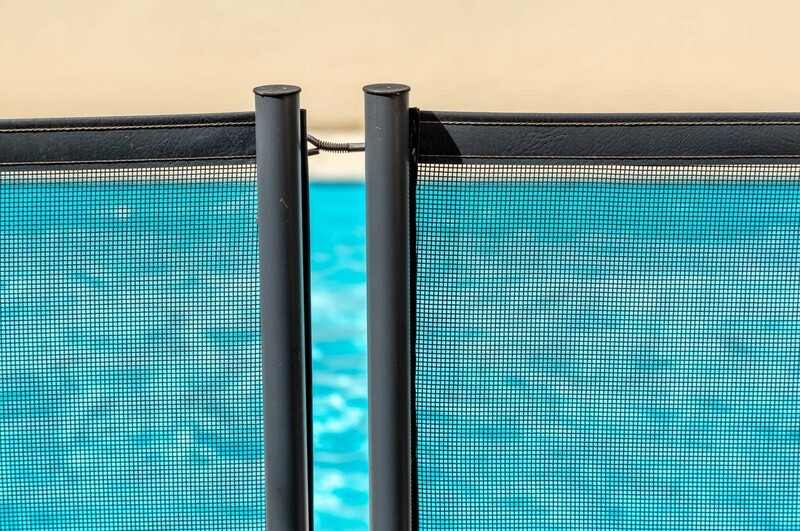 Be aware that the homeowner is responsible for anyone who uses their pool, including a stranger who jumps the fence and decides to take a dip. If you are building a backyard pool, even with precautionary measures, you might want to increase your coverage. Many homeowner policies in the Southern states already cover swimming pools. According to Zacks Investment Research, insurance companies typically recommend increasing liability coverage from $100,000 to $500,000 when installing a swimming pool. You can also purchase a higher amount with an umbrella policy for your pool. This is a policy that is especially for the pool itself; it will provide up to $1 million in liability coverage in addition to what’s provided by your regular policy. This can cost between $200 and $300 in addition to your regular premium. When you wish to include a pool in your policy, your insurer may impose certain conditions; this is where important pool safety considerations come into play. Taking the right safety measures should be discussed with the builder of your pool as well as the company that insures it. Safety features can be incorporated into the design, such as a pool cover that is automated. To an insurer, pools with a slide or diving board increase the risk of injury, thus resulting in higher potential medical expenses and risks of loss. Holders of a policy are responsible to drain the pool in winter to prevent damage (colder climates) and keep up with maintenance. Damage that results from neglect by the policyholder will not be covered, so it is wise to be sure maintenance is done when needed. Many insurance companies require that the homeowner comply with laws of the local municipality as part of their liability coverage. Both in-ground and above-ground pools must meet local requirements, which may include fencing. You may be wondering if your policy covers damage to the pool structure itself. All policies cover the home itself and extraneous structures, such as a tool shed. The pool may need to be listed as an external structure. Some homeowner policies only cover, for external structures, up to 10 percent of the overall replacement cost of the home. This means that a home that insured for $300,000 will have coverage for their other structures (such as pools) of $30,000. 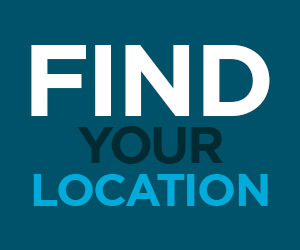 According to Insurance.com, you can increase the coverage for these other structures; the cost is usually minimal, at about $5 per $1,000 of coverage. You can read more about how the swimming pool is covered in this article by ValuePenguin. It does not typically include damage from wear and tear, such as lining rips in a vinyl pool or cracks in the concrete foundation. Structures such as pools are not covered at the replacement cost in the same manner that a backyard shed would be covered. Instead, swimming pools are covered at actual cash value, which takes into account both age and depreciation. A $20,000 in-ground pool, therefore, will not bring what you originally paid for it, if it needs to be replaced. Above-ground pools may be regarded as personal property and will be treated in the same manner as such items as jewelry and furniture. In this case, you might check with your agent to see if there is a limit and if additional coverage needs to be purchased. Further, in locations with high water tables there is a risk of empty pools floating or popping out of the ground as the pool shell floats up on the ground water when empty of water. So, it is never advisable for a homeowner to drain their own pool for repairs as this would not be covered. Additionally the use of an unlicensed contractor to do pool repairs or remodeling can put you in double jeopardy as you may have no coverage if one of those workers is injured on your property because you entered into an illegal contract the claim can be denied, shifting all the liability to you personally. Using cheap unlicensed contractors for work around your home is never worth the risk. Make sure your contractors are licensed and insured before they repair or remodel your pool. You should be aware that an annual average of 4,900 emergency room pool and spa drowning-related injuries involving children happened in the years from 2011 to 2013. Also, 390 children ages 14 and under drowned in pools and spas during that same time period. You should take all reasonable steps to secure your property and pool to prevent unsupervised children from accessing your pool. A water-watcher should be taught and assigned. Do not allow others to interrupt and pester the water watcher. Do not allow the water watcher to become distracted. In addition to this, we make sure that your handrails are secure, steps are good and all pool safety devices are working. We can also ensure that your water is safe and free of bacteria that could affect your family and guests. Our maintenance service will keep your water sparkling clean and clear. With several levels of service, your pool will always get the attention it needs to provide a safe place for swimming and water fun. Give us a call at Pool Troopers to discuss ways that your pool can be clean and ready for water fun in a secure and safe backyard environment.